Last year, Pacific Sun debuted the smartest, fanciest dosing pump system on the planet in the Kore 5th, so it only makes sense that they develop accessories that will boost the effectiveness of that system. 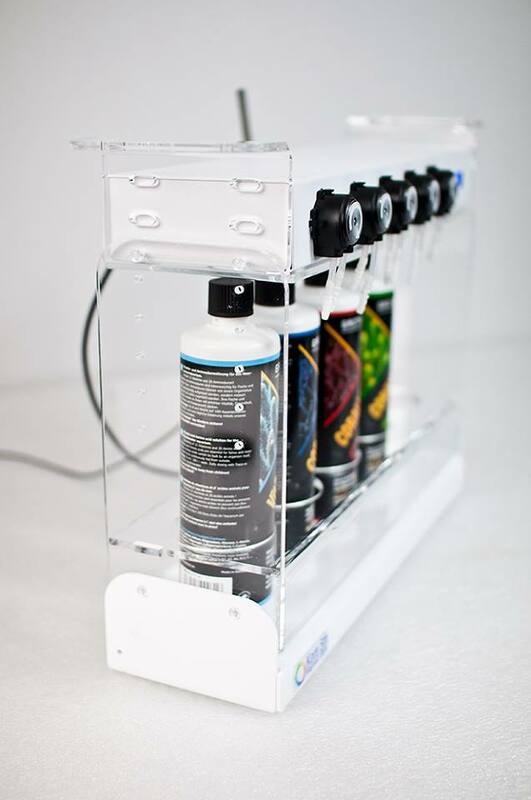 One of the major drawbacks to automated dosing is the fact that the bottles of chemicals sit in an aquarium stand, untouched and forgotten, allowing the critical components of the solutions to settle on the bottoms of the bottles. While the responsible hobbyist might come by and shake the bottles regularly, let’s face it, not all of us do that step. 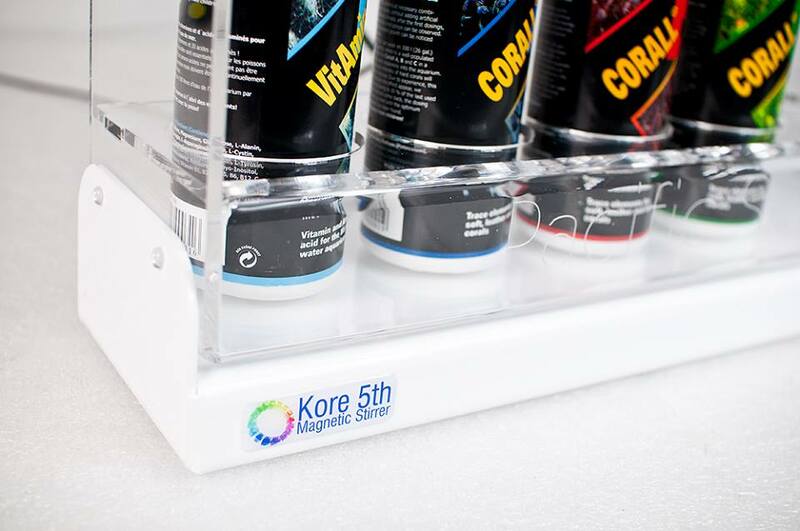 To answer that conundrum, Pacific Sun has released some teaser info on their Kore 5th Magnet Stirrer, which as its name suggests keeps the solutions at their freshest by keeping them mixed up prior to dosing. 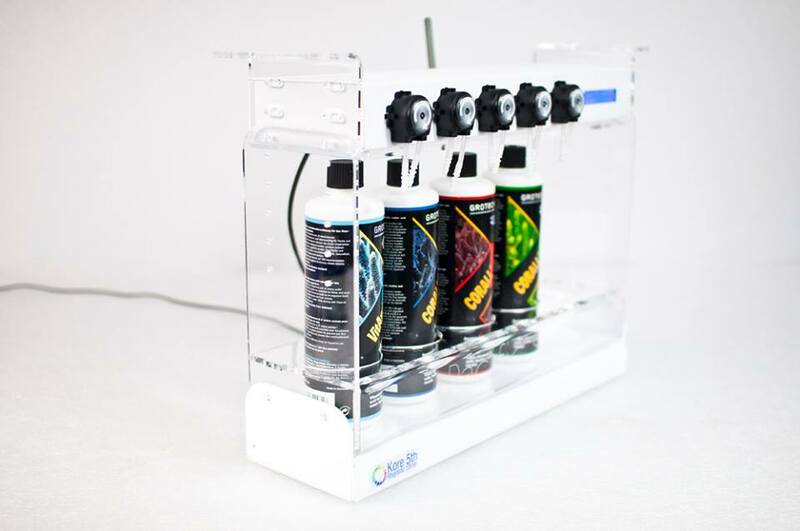 If the Magnetic Stirrer is anything like what we see in other applications, then the hobbyist will have to drop a magnetic stir bar into each bottle and place it on the rack to let it do its thing. 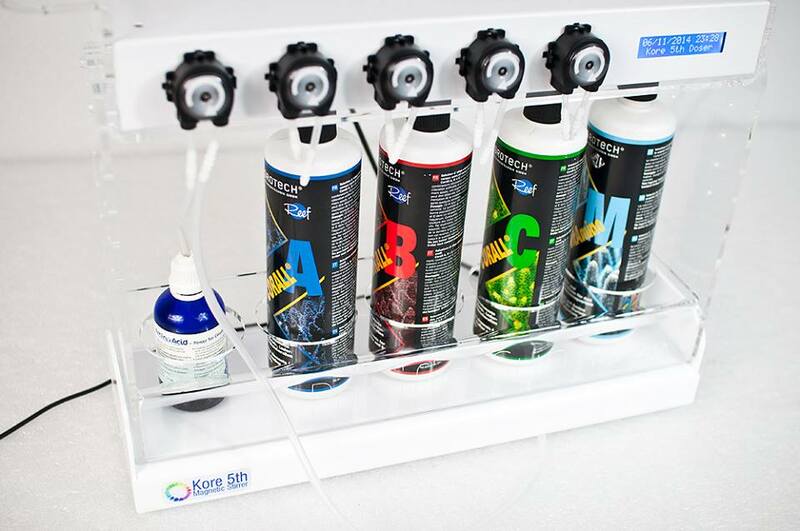 The stir rates and times are all controlled through the actual Kore 5th dosing pump, which attaches to the top of the rack, as seen in the photos. As part of the wireless control software, we anticipate that the stirrer can also be adjusted on the fly via the smartphone apps or PC based software, which is a nice feature if our assumptions are correct. The stirrer itself attaches to the acrylic rack, so what you are seeing in the pictures are actually three separate items. Official pricing and other details are on the way soon from Pacific Sun, but we pretty much get the picture with this release, as it is a fairly simply concept.